Over 40 Years Of Excellence! Our pros will work with you from concept to completion to ensure that you get the landscape of your dreams. Experts In Landscape Design, Construction & Maintenance! When you dream of your perfect landscape, we want you to dream big and we want to help you make it happen. 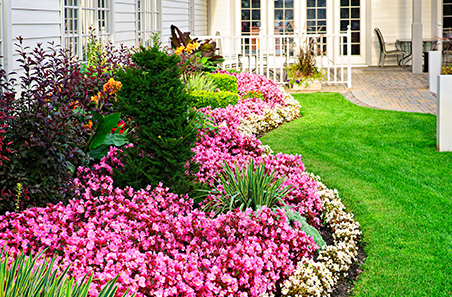 We are a full-service landscape design, construction, and property maintenance company serving the Cape Cod community with unmatched services for over 40 years. Backed by a skilled and honest staff of designers, horticulturists, stonemasons and other dedicated professionals, we have become the preferred landscape contractor in the area. Whether you need us for a complete overhaul of your property, involving multi-phase installations or just for mowing your lawn, we are there for you. Want to know how we can shape your property into the lavish garden of your dreams? Get in touch with us today for a free design consultation! When you work with our pros, you can rest assured that you’ll be getting quality work that’s backed by over 40 years of experience in bringing landscapes to life. © 2019, Tim Acton Landscaping. All Rights Reserved.